After sporadically checking Gmail throughout Trial Practice and Business Associations this morning, I finally just gave up. Still no email. Still no docs. Nothing. Nil. Nada. 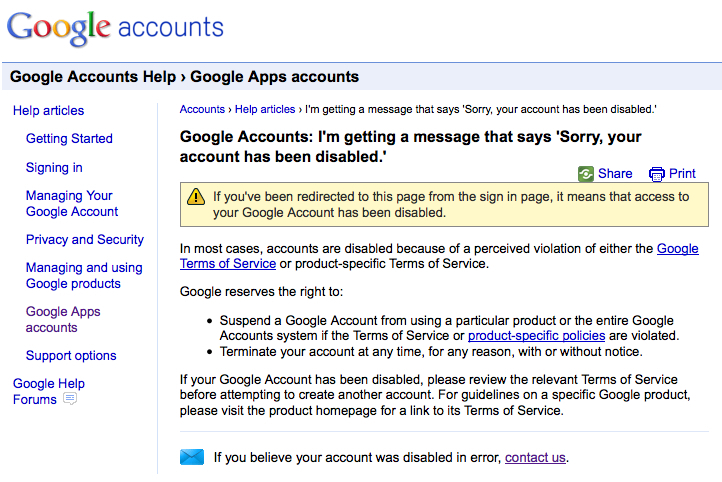 At least Google was kind enough to put a new redirect in place when I tried to access my account. Now it tells me explicitly why I can’t access my account, instead of sending me to a page saying I violated their Terms of Service. After winging AAJ trial team practice tonight since I didn’t have any of my docs, I made my way home from the law school around 11ish when I discovered I now at least (it appears) have access to my non-Gmail services. I know what some of you are thinking: how could this happen if we have multiple copies of your data, in multiple data centers? Well, in some rare instances software bugs can affect several copies of the data. That’s what happened here. Some copies of mail were deleted, and we’ve been hard at work over the last 30 hours getting it back for the people affected by this issue. So what caused this problem? We released a storage software update that introduced the unexpected bug, which caused 0.02% of Gmail users to temporarily lose access to their email. When we discovered the problem, we immediately stopped the deployment of the new software and reverted to the old version. As always, we’ll post a detailed incident report outlining what happened to the Apps Status Dashboard, as well as the corrective actions we’re taking to help prevent it from occurring again. If you were affected by this issue, it’s important to note that email sent to you between 6:00 PM PST on February 27 and 2:00 PM PST on February 28 was likely not delivered to your mailbox, and the senders would have received a notification that their messages weren’t delivered. Thanks for bearing with us as we fix this, and sorry again for the scare. Then there’s the rest of the content in this non-apology apology. They’re backing up my email from tape archives but it’s somehow still all there? I call bullsh*t: the sheer volume of tape cartridges they’d need to use to back up all their users is too huge to believe they do these backups daily. A more likely explanation is that they’ve got a monthly or quarterly tape archive that they’re going to use to restore my account (assuming they actually restore it), which would mean I’ll have permanently lost anything recent. Take a look at this photo. 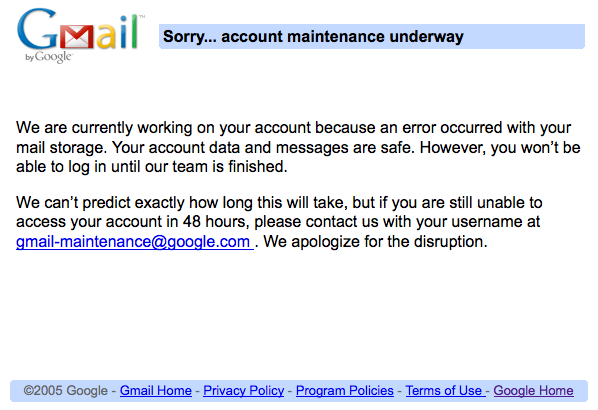 It’s a screenshot from the Gmail account that I’ve been using for about 5 years now. Buzz is there, but my emails aren't. And no ninjas. That’s what I saw when I logged in earlier today. First thing I noticed — no ninjas. I’m not a fan of the bland white default, so I switched things over to the Gmail ninja background. 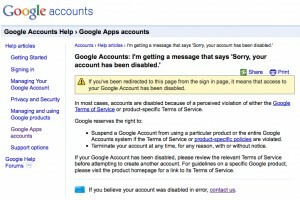 Next thing I noticed: the privacy-invading Google Buzz is turned back on, even though I cut it off the day it came out. It was at about that point I realized the biggest issue — 100% of my emails before this morning were completely and totally gone. So were my chat logs. So were my settings. I’ve disliked “cloud computing” ever since it was created. 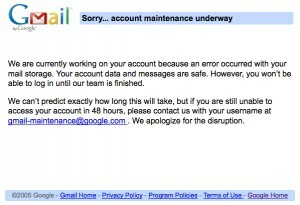 When N.C. State announced plans to migrate from its own mail servers to Gmail, I was skeptical. Likewise during my second term as NCSU’s Senate President, where the (otherwise phenomenal) Student Body President I worked with still reigns as the biggest Google Docs fanboy I’ve ever met. The only saving grace is that I didn’t lose all my stuff — I’ve still got a not-quite-a-month-old archive stored locally at home. But my distrust for the cloud has been affirmed, and I will now redouble my neo-Luddite ways in trying to avoid cloud computing as much as possible. Katie has the latest law school roundup over at katieluper.com — make sure to check it out! Enjoy, and have a great night y’all! 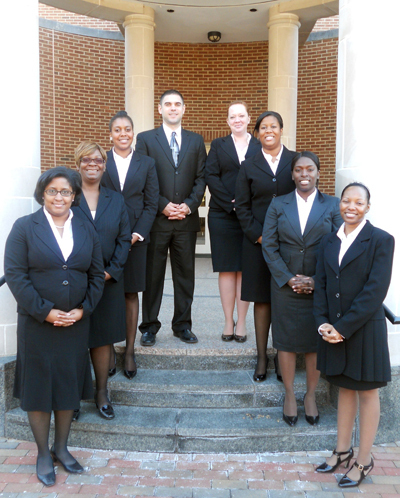 NCCU Law 1Ls take Silver (again) in K-S competition! Amid all these posts about my TYLA exploits in Charlotte this past weekend, I realized that I completely forgot to update y’all on how the NCCU Law 1Ls did in this year’s Kilpatrick-Stockton Mock Trial Competition last month! 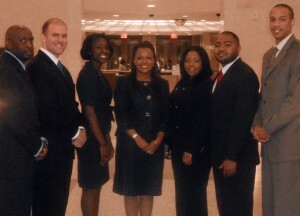 In only NCCU Law’s second year of competition, the Trial Advocacy Board’s 1L trial teams once again dominated the annual Kilpatrick-Stockton 1L Mock Trial Competition hosted by the UNC Chapel Hill School of Law on January 13-16, 2011. The “1L of a Team” squad advanced to the final round and earned a 2nd place finish, getting edged out by Duke Law after an intense and hard-fought trial by both sides. There were also 35 NCCU Law students, professors and alumni in attendance, a 10x increase over the audience for last year’s competition. The other 1L team, “The Whole Truth”, successfully advanced to the semi-final round and tied a separate Duke Law team for 3rd place. Not only did NCCU Law’s 1Ls take half of the spots in the Final Four, this now also marks the 2nd year in a row that NCCU Law has made the final round of the competition — setting a 100% track record of NCCU Law 1Ls advancing to the final round. 28 teams participated from 6 North Carolina schools (all schools except Charlotte School of Law), and NCCU Law’s 1Ls successfully beat teams from Campbell, Duke and UNCCH at various stages of the competition. Everyone delivered an exemplary performance, and the Trial Advocacy Board looks forward to watching these 1Ls blossom into even stronger advocates over their next two years! 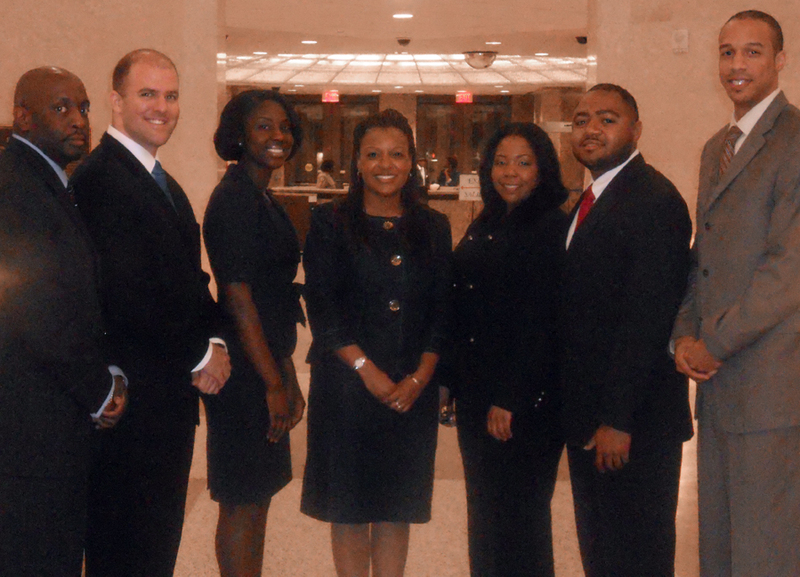 A belated-but-much-deserved congratulations to the NCCU Law 1L Trial Teams! On the ride home from the TYLA regionals in Charlotte this afternoon, I got a text message from one of my 3L colleagues with the ranking results for the 2Ls. Apparently we came in 9th! The only thing keeping it out of “unmitigated disaster” territory — just in merely “disaster” range — was that my opening statement was on-point and Co-Counsel’s closing was flawless. But beyond that I was totally thrown off my game and the two of us got beaten like rented mules. None of that has anything at all to do with the post title of course The main point for tonight’s entry is a reminder of how surprisingly small the world can be sometimes. Now I’ve only been to Charlotte twice in the past year, and the last time I was in the downtown part of the city was over a decade ago with QuietStorm. And yet somehow, out of the 8,760 hours in a given year, on the one weekend I’m downtown, in a city of almost a million people, I ended up being at the same restaurant at the same time as one of my closest college friends.